1. the principal or dominant course, tendency, or trend: the mainstream of American culture. 1. belonging to or characteristic of a principal, dominant, or widely accepted group, movement, style, etc. : mainstream Republicans; a mainstream artist. 2. to send into the mainstream; cause to join the main force, group, etc. : to mainstream young people into the labor force. 1. to join or be placed in the mainstream. Great animation from student who is a Visual artist and a DJ. 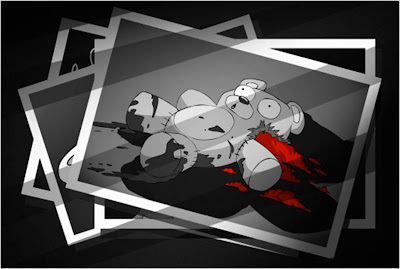 He is now in the4th year in Bezalel Animation Academy in Israel and this is his final film for his 3rd year. As an extended visual metaphor this is a powerful piece of work and one which, I have to admit, took me a little while to grasp (though I had firmly realised what it was all about by the end - phew). For some reason the name Aldous Hucley keeps coming to mind, but perhaps I read Brave New World once too often when I was younger. "Carol Anne - don't go into the dark..."
Arria is the new sculpture by internationally renowned artist Andy Scott which was recently installed on the A80 near Cumbernauld in Scotland. This time lapse video, shot over twelve hours, shows the gradual installation of what many are calling The Metal Mermaid but who goes formally by the name of Arria. It looks as if the Scottish weather did its best that day, but the sun does eventually appear - which is the best weather in which to see this amazing ten meter high four armed diva, welcoming people to the locality. Made of galvanized steel, this should ensure that Arria glints in the sun for many years to come. 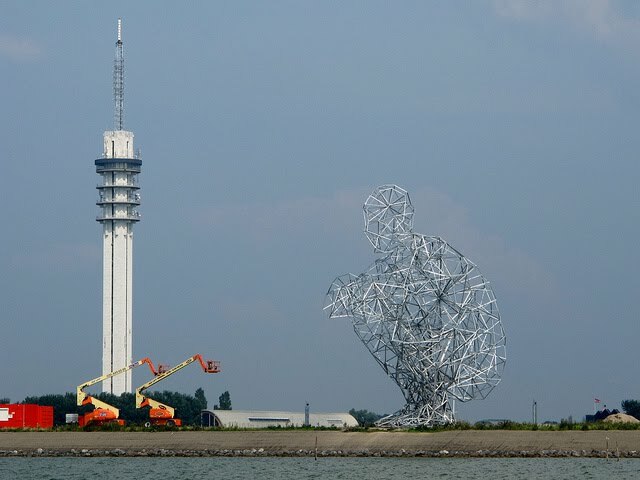 It is certainly a more attractive sight than Anthony Gormley's latest, Exposure, over in Holland. Love her or loathe her, at least she isn't performing a bodily function! You have probably seen TV panel shows where stand up comedians stand up and improvise a song - and it's all completely unrehearsed and the audience clap and cheer and the comedian looks really smug and pleased with himself. You have probably, at this point, raised an eyebrow like a certain Vulcan gentleman of our acquaintance and wondered (non emotionally of course) about the vagaries of human behavior. Well, sometimes it is unrehearsed - this looks to be very much the real deal. More proof (if we needed it) that quite often the best entertainment is to be found on the streets - whether or not it is always the intention is another issue altogether. This is a street puppet show where the (brave? foolhardy?) 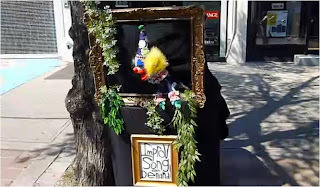 puppeteer invites people to give him a subject and then the puppet will perform a song around that theme. The focus for the song given on this particular street in Ontario, Canada was Star Trek. 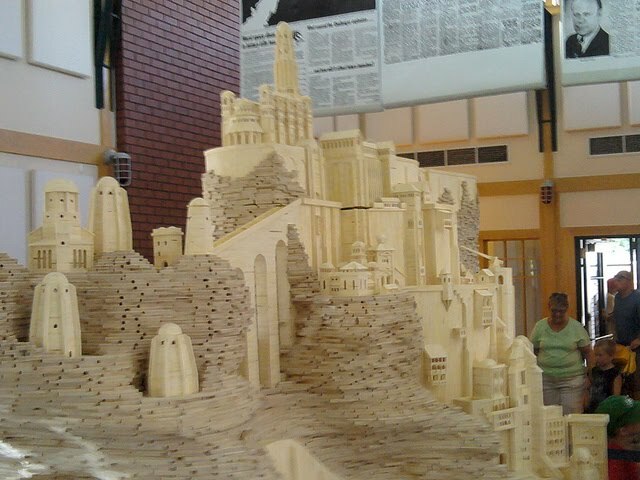 If you are a fan, you will appreciate this! It may even give you a chuckle if you are not. The puppeteer, however must be a diehard fan already - mentioning such things as dilithium crystals and the Borg in his ditty. I can only hope that he was given a small fortune for these few minutes of Star Trek muppet madness. 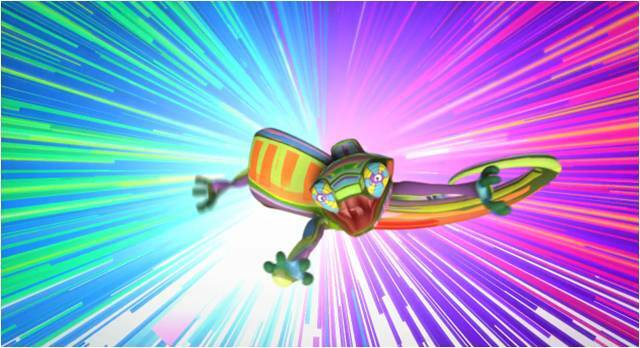 Many thanks to Flickr User Gruntzooki for uploading this vid! What I particularly like about this animation - apart from the skill with which it has been put together - is the way it very sharply catches the intensity of play that young children demonstrate where they utterly believe the scenario they create for themselves. The film noir pastiche very cleverly allows us old ones to enter the world of the boy's imagination. Altogether, this is a very cool piece of animation, created by Wayne Lee as his thesis film in his fourth year at Sheridan College. The College, in Ontario, Canada, was founded over 40 years ago and has graduated over 100,000 alumni who have made an impact in the arts, business, technology and community service fields, both in Canada and internationally. Gormley’s Exposure – Art or Just Bare Faced Cheek? 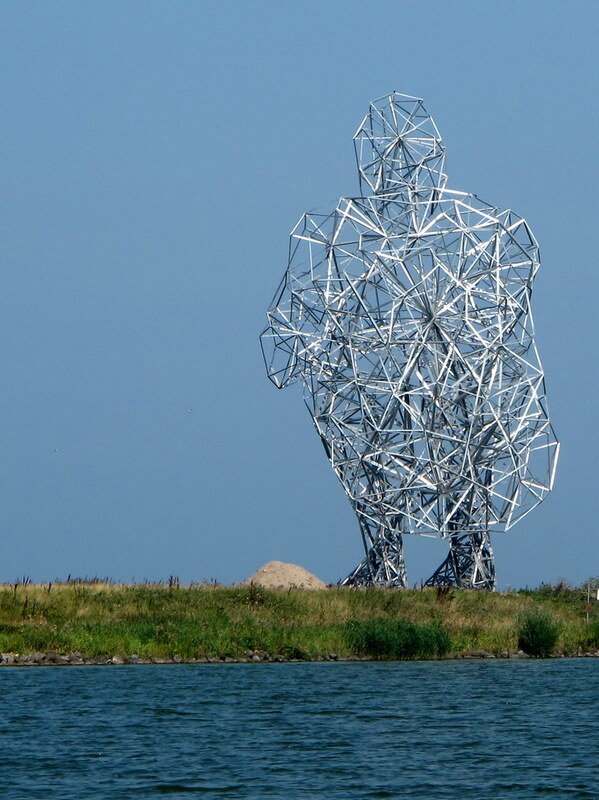 Anthony Gormley’s latest mammoth sculpture, Exposure which is to be unveiled formally in September, has opinion divided. Nothing particularly new there, you might say. 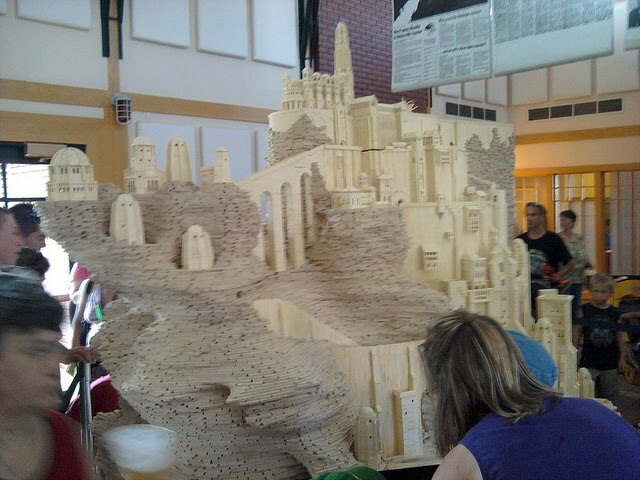 Yet Exposure, weighing in at sixty tonnes, twenty six meters (85 feet) in height and poised rather delicately in a crouching position is causing something of a ruckus in the Netherlands, where it has been assembled. It is customary, these days, to nickname any new gargantuan work of art and this has certainly been the case with Exposure. One rather unimpressed resident of the nearby town of Lelystad quickly christened Exposure as de poepende man and the name has caught on. It doesn’t even loosely translate as sitting, but if you put an h after the first consonant you get the picture. The rather more polite element of Dutch society uses the word hurkende – which means crouching. Either way, there is no doubt whether or not the locals have formed an idea about which specific function our latest friendly giant is performing. 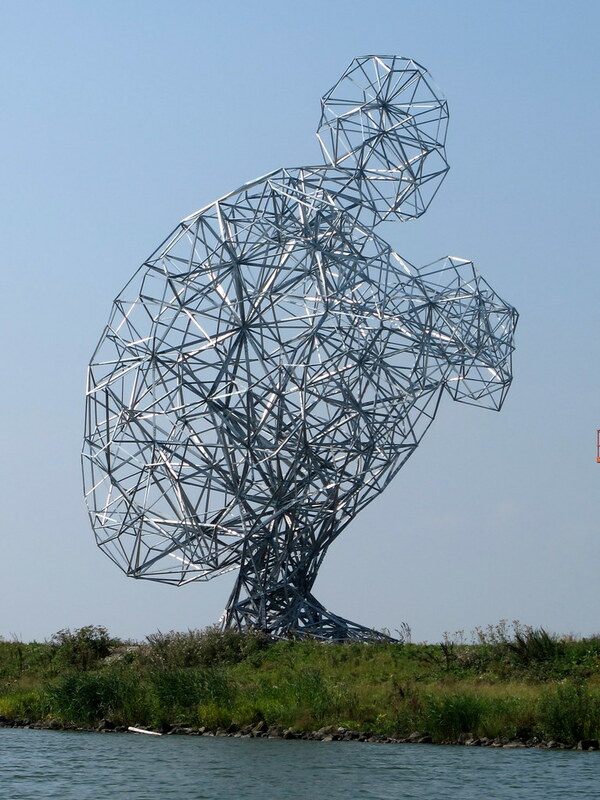 This aside, the fact Exposure is now fully squatting in position is something of a triumph for Anthony Gormley. The project has taken almost six years to bear fruit, with a number of setbacks on the way, including what can only be described as a constipation of funds and numerous technical difficulties. 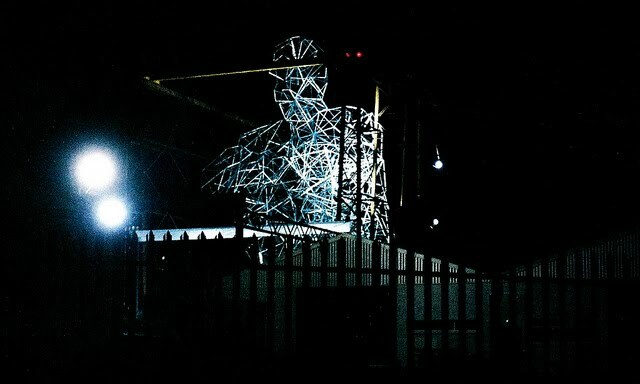 The fact that the sculpture will be formally unveiled on 17 September belies the complexity of its erection which might have proven too much for lesser artists to even consider, let alone see a project of this enormity to its end. If you stood next to this gargantuan structure you would be at the same level as its feet (you might want to watch where you stand, metaphorically at least) – and there are almost six thousand bolts holding the 2,000 component sculpture together. 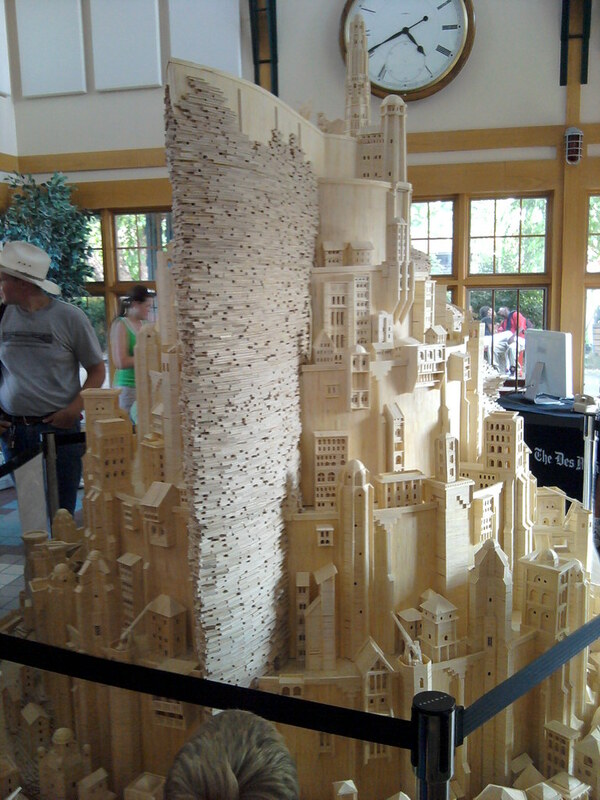 If the sculpture were to come alive, complete the deed and then stand up, he would be over 100 meters high. Gormley first cast himself in plaster and then, combining art with math, translated his own form in to a geometric model, using sophisticated software. 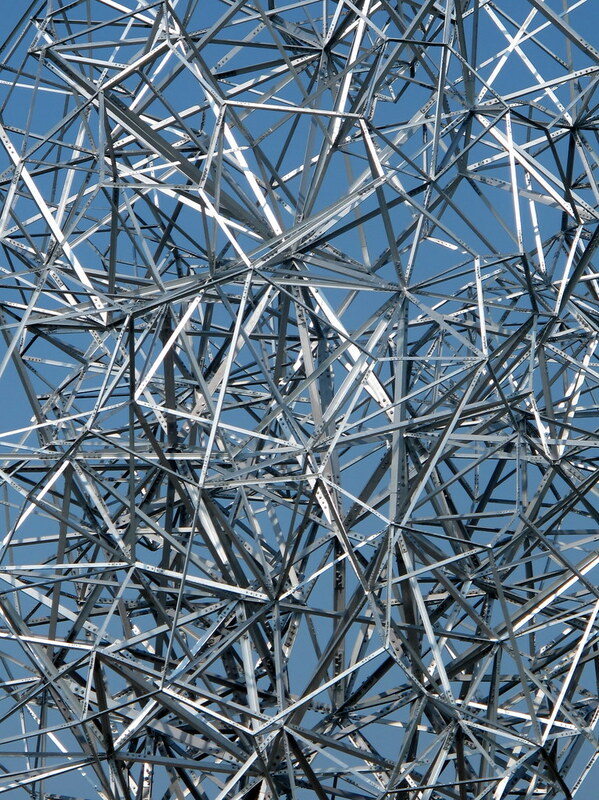 The metal parts which make up Exposure were made by a pylon manufacturer in the UK and transported to the Netherlands. 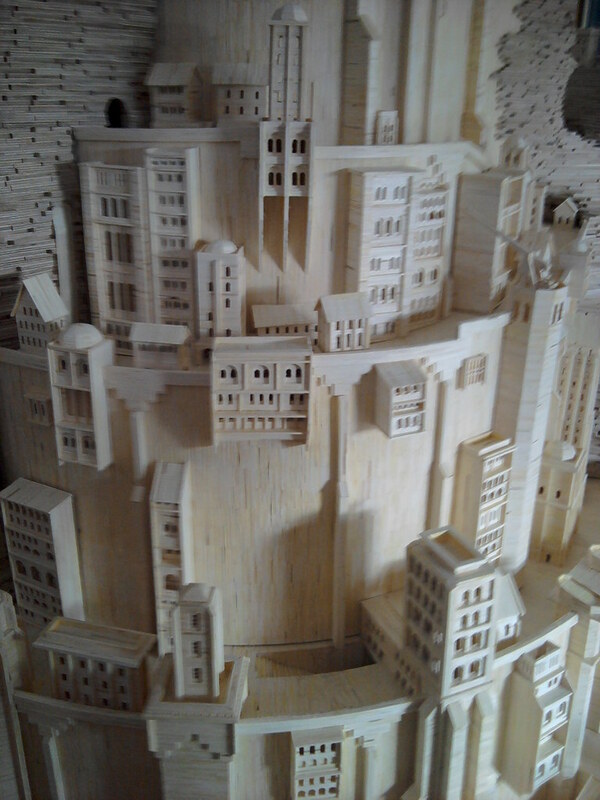 Whether or not the end product is as sophisticated as the execution of the design is for you to decide. Kuriositas would like to very gratefully acknowledge Flickr User Herman Verheij who kindly gave permission for us to use his marvellous pictures of Exposure (the first four). Please pay a visit to his marvellous photostream. Arria is the amazing new sculpture by Andy Scott, situated overlooking the A80 motorway in Scotland at the entrance to the new town of Cumbernauld. We have written about Arria's unveiling already at Kuriositas - as well as the process of her creation - and we have thoroughly enjoyed watching the process from start to finish. Now she is in her place, protecting the town and (hopefully) bringing it good fortune, we thought we would visit her again - but this time simply let the pictures do the talking. All photographs courtesty of North Lanarkshire Council. 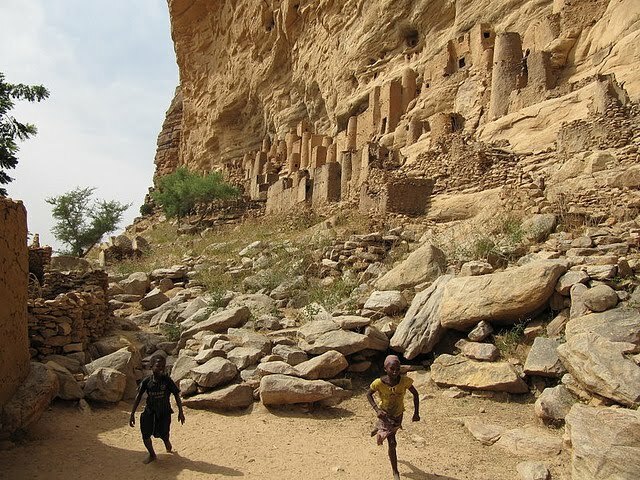 The oldest Dogon structures are to be found on the faces of cliffs and are obvioulsy defensive by design. 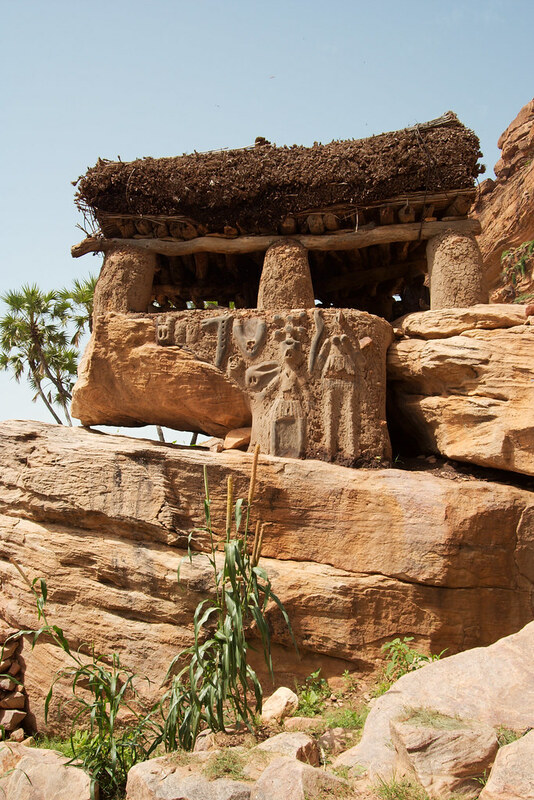 The Dogon were a people in fear - for good reason. Their settlements would often be raided, and so tradition has it the men murdered and the women and children taken away for a life of slavery. 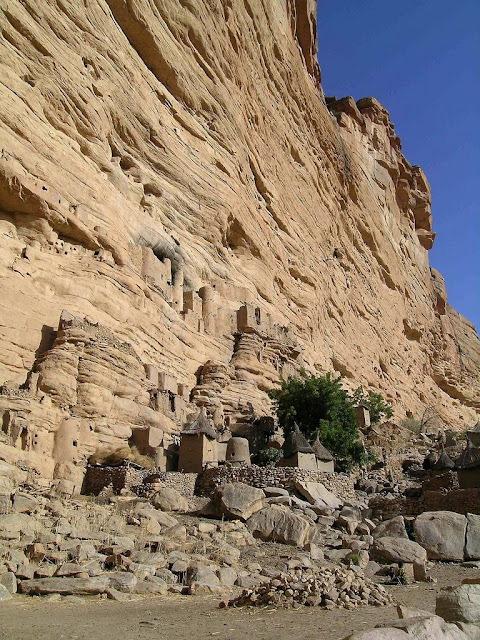 A thousand years ago the Dogon people were faced with a choice – the forceful conversion to Islam or escape to the isolated area around the Bandiagara Escarpment. 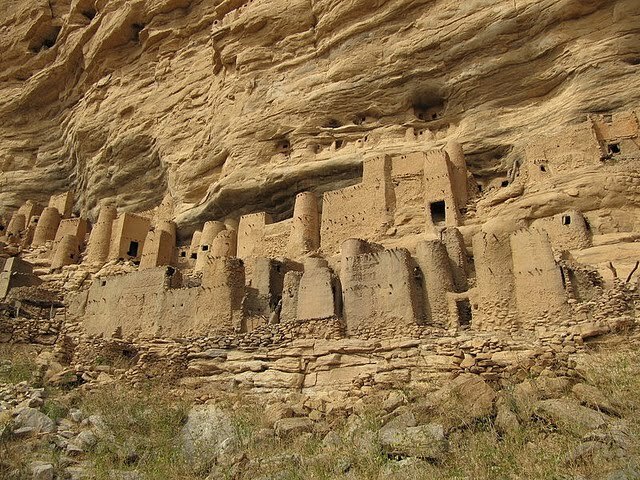 Here, around steep sandstone cliffs the villages could be more easily defended. 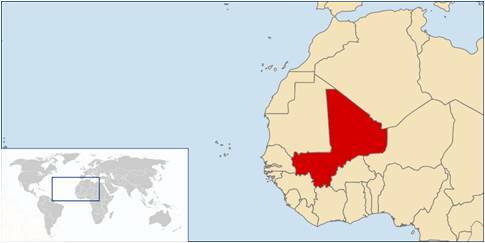 Plus the Niger River runs through the area, given another natural line of defense. No surprise then that the Dogon chose flight. 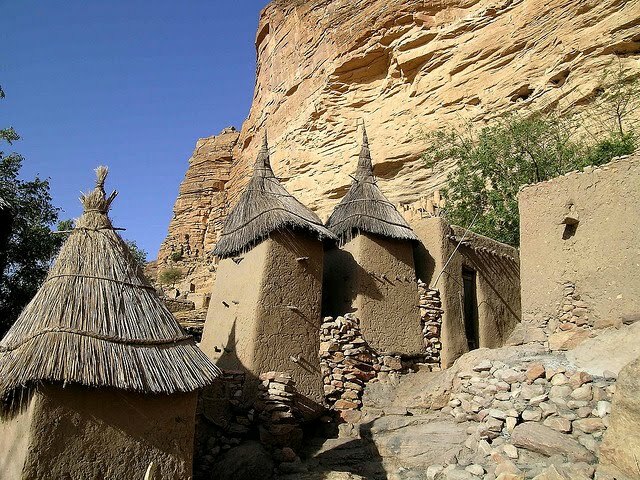 It would take many hundreds of years for Dogon society to gain sufficient confidence to come down from its precipitous setting. 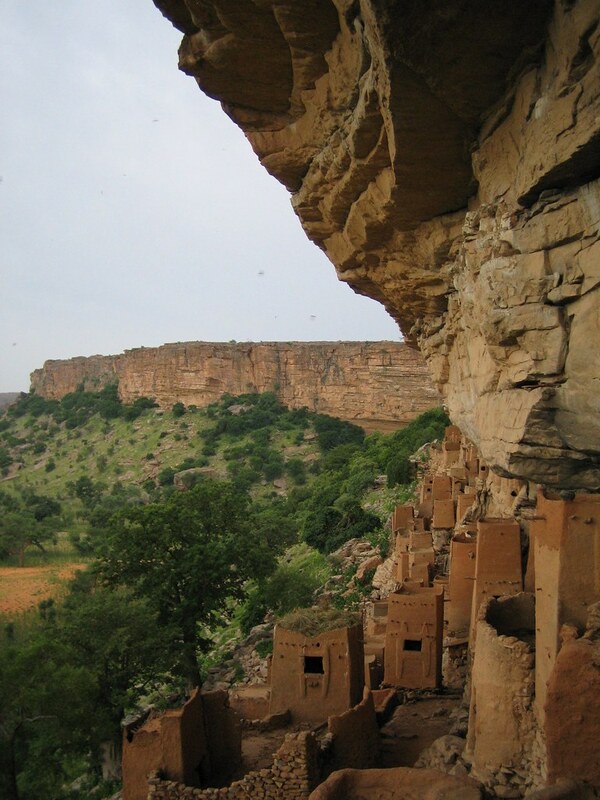 According to their oral traditions, the settlements started along the far southwest of the escarpment and over the centuries the Dogon people slowly extended their range north along it. 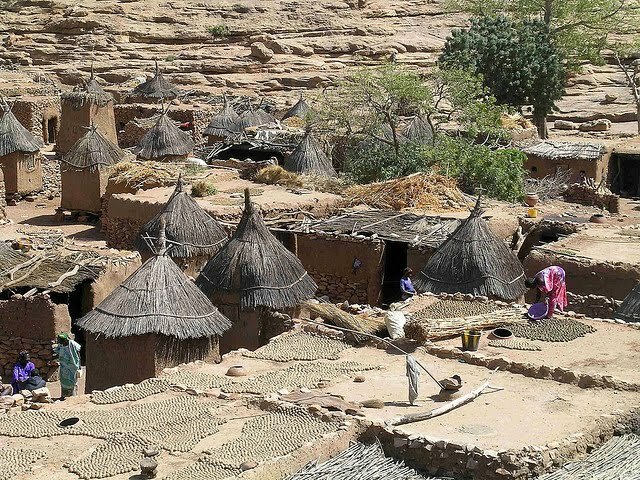 It is more likely that the Dogon society evolved as the result of several waves of people fleeing the threat of Islamization. 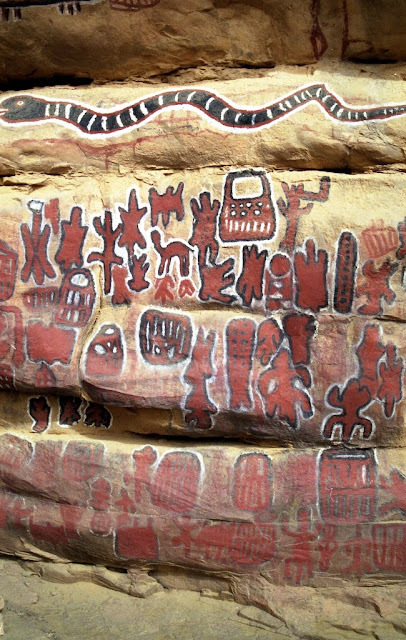 The cliff walls remain resplendent with art which is hundreds of years old and details the rituals of the Dogon. The occupation of Mali by the French brought peace to the region and the Dogon were further able to expand their range. 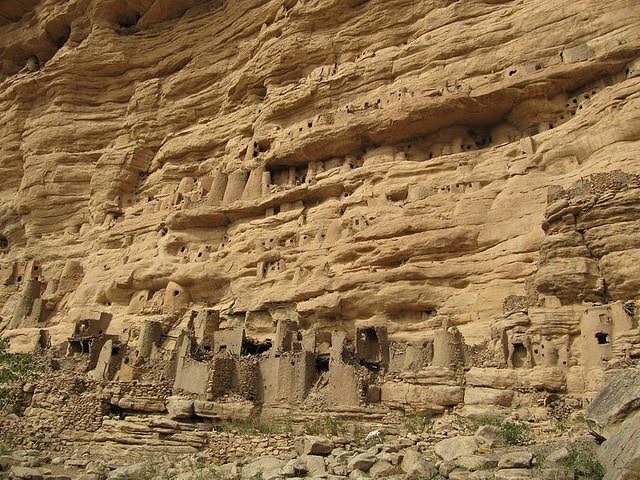 Many of the older cliff villages were abandoned as the threats receded and child village sprang up at the base of many cliffs where there is more space. 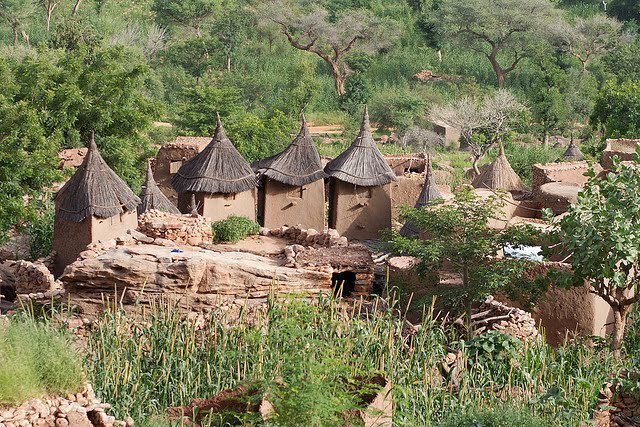 The land is fertile and the Dogon were able develop agriculture fully. 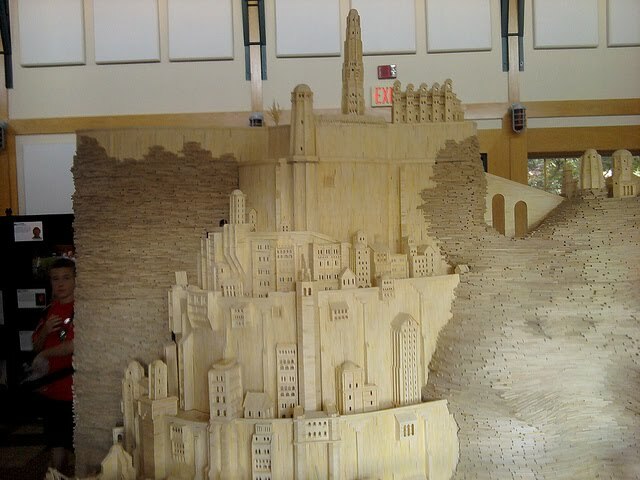 The more the land was used then the more granaries were needed to store the seed. 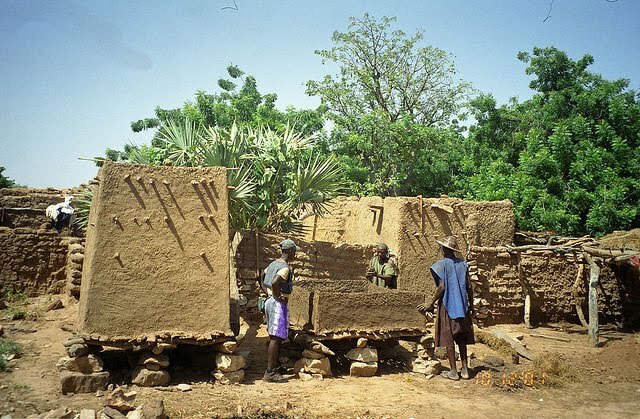 A typical Dogon village is dotted with granaries, all made from mud. 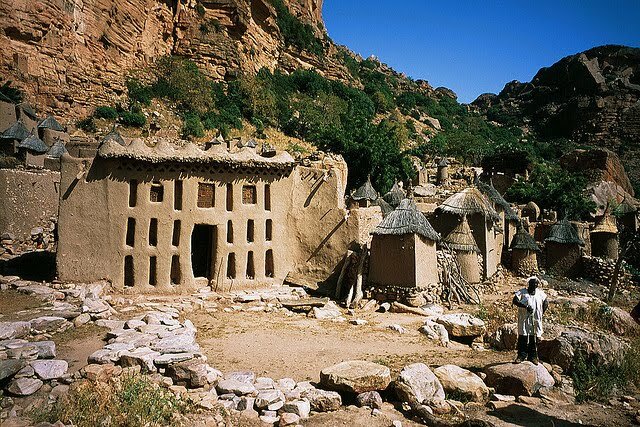 This is not as primitive as it sounds – stone is simply at a premium in the region and so, necessity being the mother of invention, the Dogon developed a style of mud architecture wholly their own. 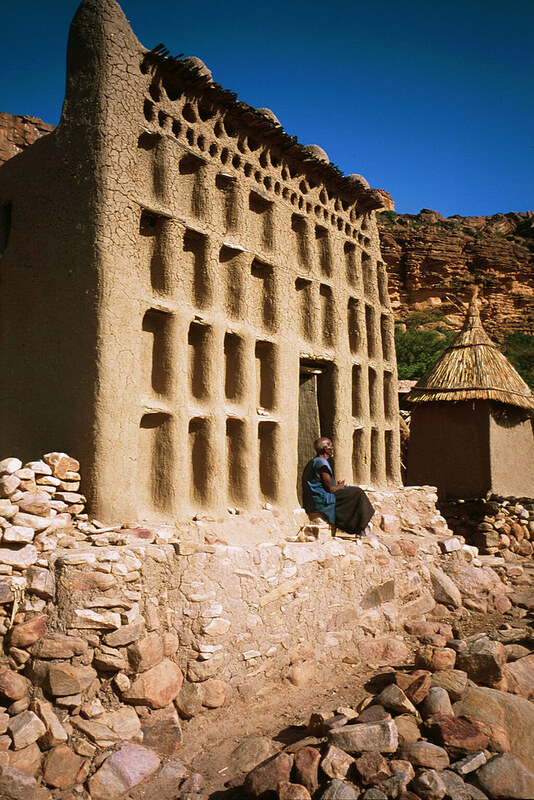 The buildings in a Dogon village all have a particular significance. The pointed roof granaries are known as male granaries. This is where the millet and other grain is stored. 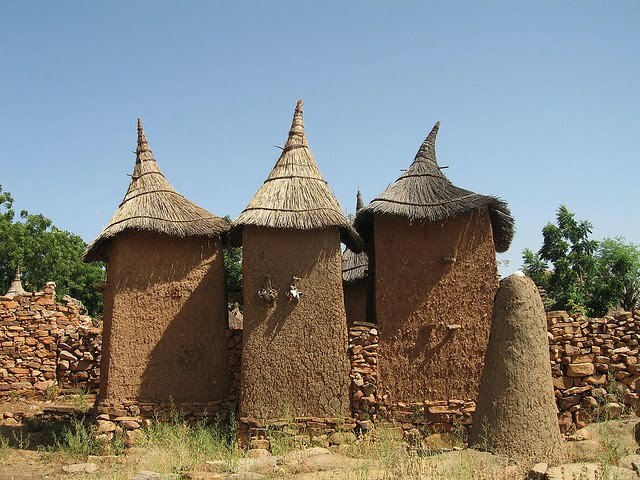 The more pointed roof you see in a Dogon village, the greater its prosperity. 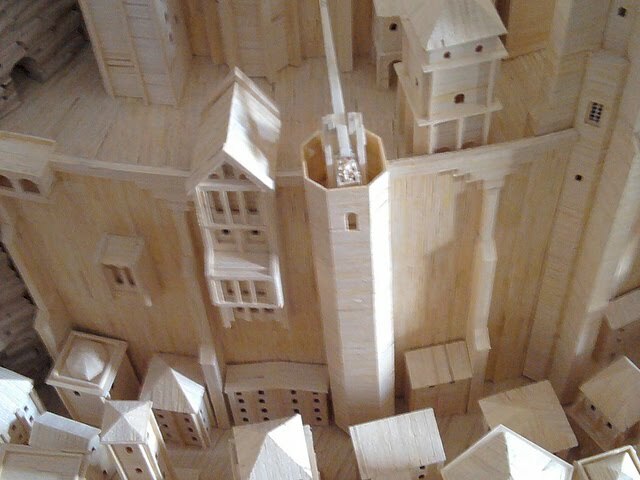 Similar buildings without points are female granaries. 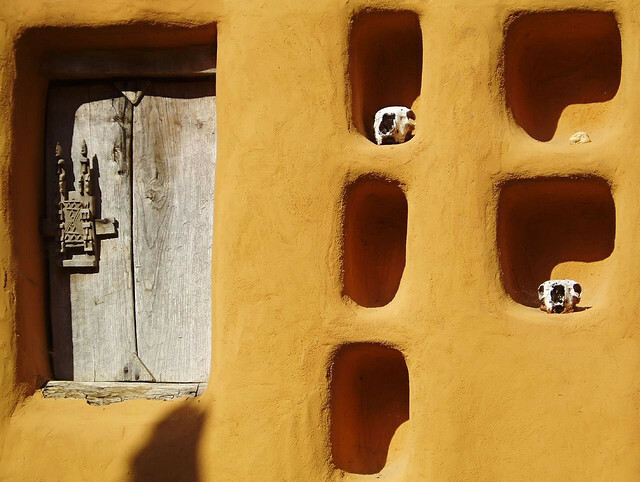 This is where the women store their own belongings – she is economically independent from her husband in Dogon society. The toguna is a building only for men. When the heat of the day is too much for any work to be done the men gather in the toguna to make decisions. The building is deliberately designed so that its roof is low, meaning that none of the men can stand upright within its confines. The reason for this is simple – when debates become heated, it decreases the incidence of violence because it restricts movement. The ginna is the house of the senior male of the village, more often descended from the village founder. He leads the extended family of the village, the ginna banga and often when a village becomes large enough for it to be split in to quarters then each quarter will have its own ginna. The ginna lives on the first floor with his own granary on the floor above – the roof area will hold the alter of the Wagem – the ancestors. 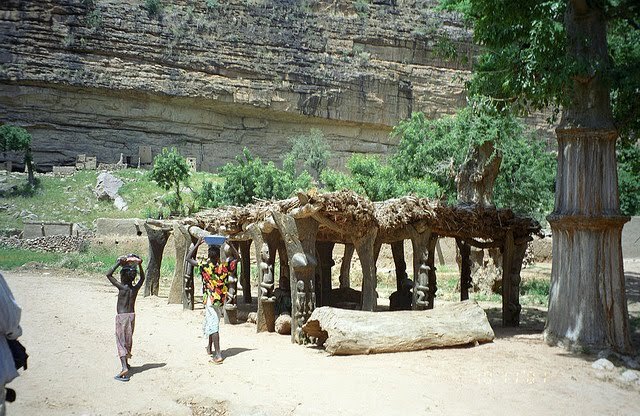 Wagem is in fact the name of the one of the animist cults to which many Dogon adhere. 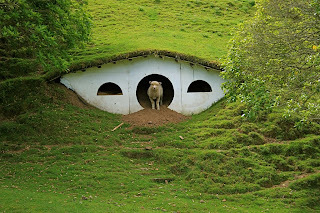 The village has a spiritual leader – the Hogon. 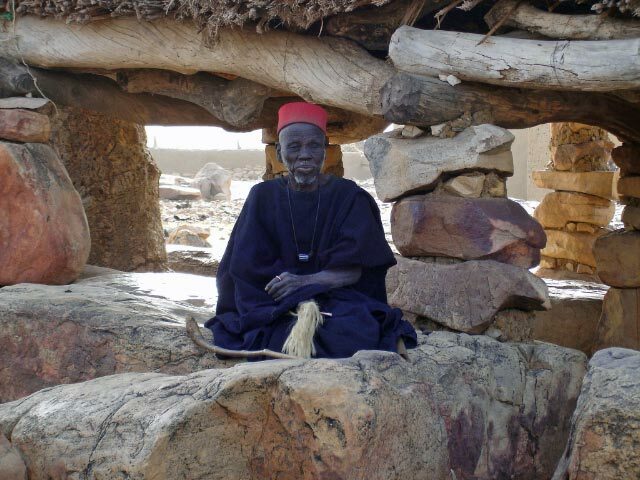 Elections take place between the oldest men and when a Hogon is chosen then the villagers are forbidden to touch him and he must live on his own without washing and shaving for an extended period of initiation. During this time his needs are met by a virgin who has yet to enter puberty who will make his meals and clean the house. If your eyebrows are raised here, she is also not allowed to touch him and returns to her parents home each evening. Once the initiation is over the Hogon adopts a red cap and wears an armband inlaid with a pearl – the symbol of his role. 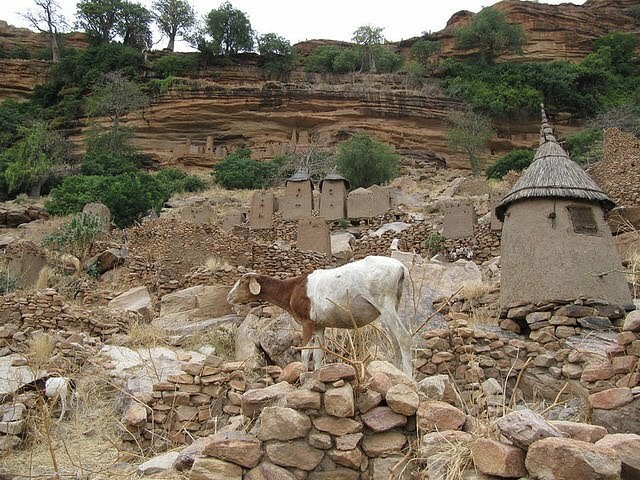 His own wife (or one of them, the Dogon do occasionally practice polygamy) can then return to him but she must also leave once night comes to the village. This is as the Dogon believe that while the Hogon sleeps he is visited by a sacred snake who gives him wisdom and washes him as he sleeps. When it comes to the practice of polygamy the vast majority of men have just one wife. The women only join their husband’s household once their first child is delivered and they are at liberty to leave their husbands if a child is not forthcoming. 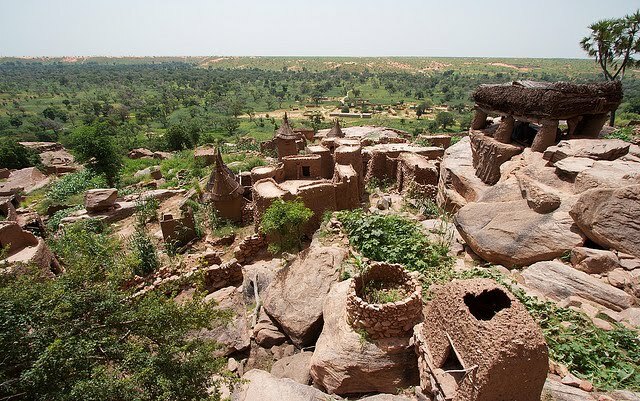 Once the family has the addition of a child divorce is virtually unknown in Dogon society. If a divorce is required by either partner then it will involve the whole extended family of the ginna. As this can number in the hundreds, it is perhaps one of the reasons why divorce is such a rarity. 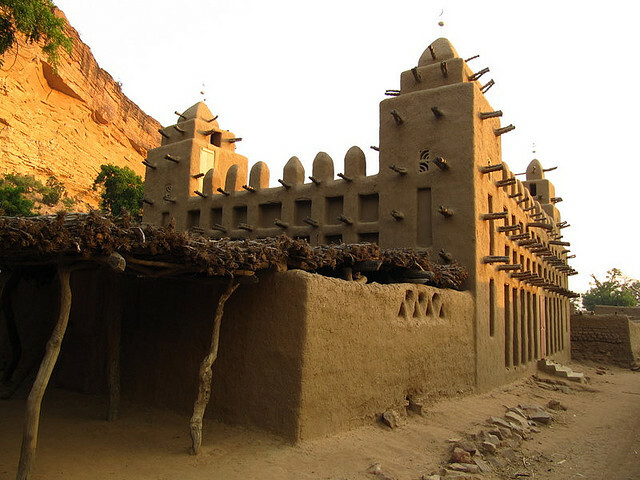 Although the Dogon originally came to the Mopti region to escape Islam, the religion has crept in to society (as has Christianity). 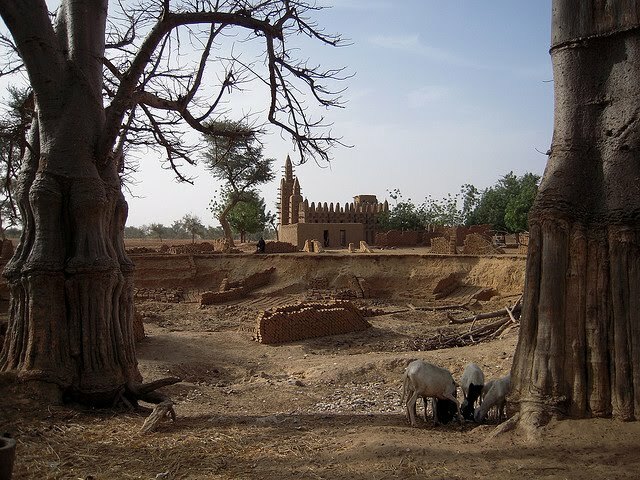 Many villages now have their own mud built mosque, which add to the architectural significance of these settlements. 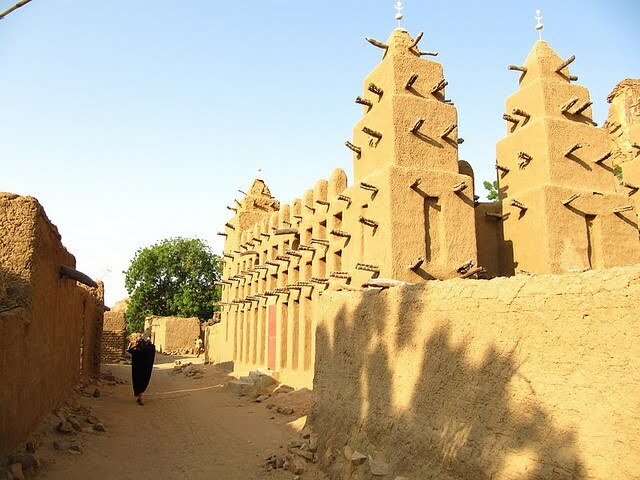 The different religions sit side by side with each other and there is little friction between them – harmony is one of the most important aspects of Dogon society and is reflected in their daily rituals. Their greeting ritual can serve here as an example. 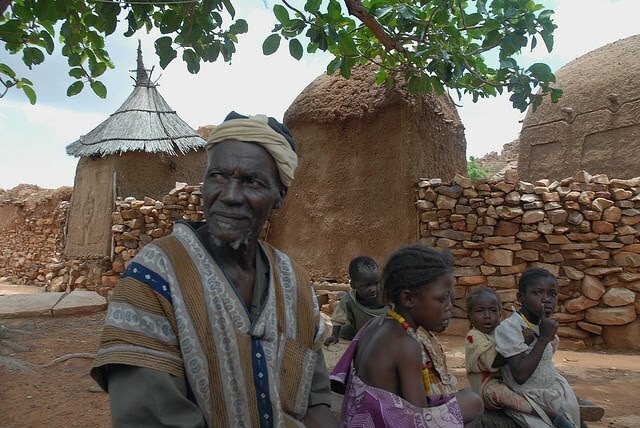 A Dogon asks a visitor how the family is, asking question after question. Once this is done then the whole ritual is repeated. The answer usually given is sewa. This means that things are good. 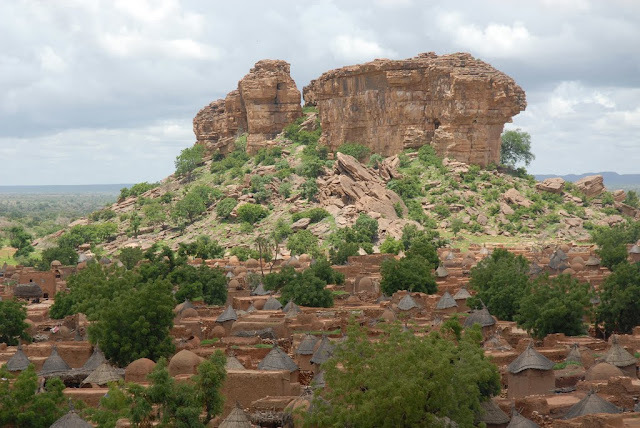 Other ethnic groups in Mali often refer to the Dogon as the sewa people for this reason. 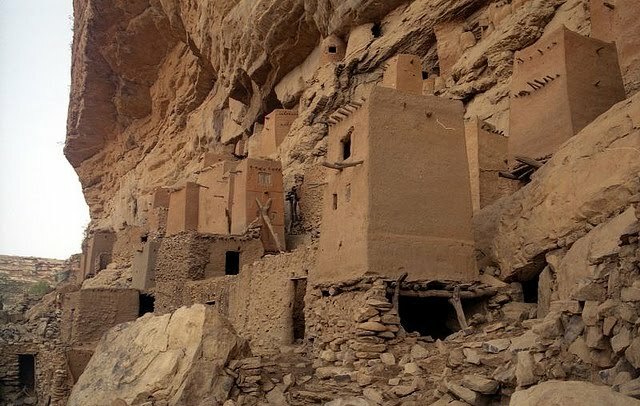 Despite all the amazing sights to be seen at ground level, the one thing that stays with the visitor and to which the eye keeps returning, are the amazing cliff top housing from which the Dogon in bleaker days defended themselves from their enemies. Investing in gold can be a tricky business but one thing is sure – if you are considering this kind of investment you need protection from short-term changes in price which might have a negative financial impact upon you. Fortunately, Goldline has been in the business of serving investors for fifty years and they come with a fine reputation in a range of metals, not just gold but silver and platinum too. They deliver to your door or send your purchase to the secure depository of your choice. They even offer help in considering in which precious metal you want to invest. Some people discover, once they made an investment that they have actually bought a certificate rather than the precious metal itself. 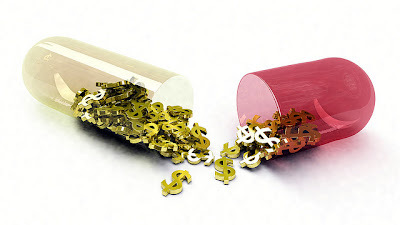 Rest assured with Goldline you are buying the real thing.